Short ´cloze´ story designed for students to practise the use of the present simple and present continuous. Make sure to review or pre-teach usage. 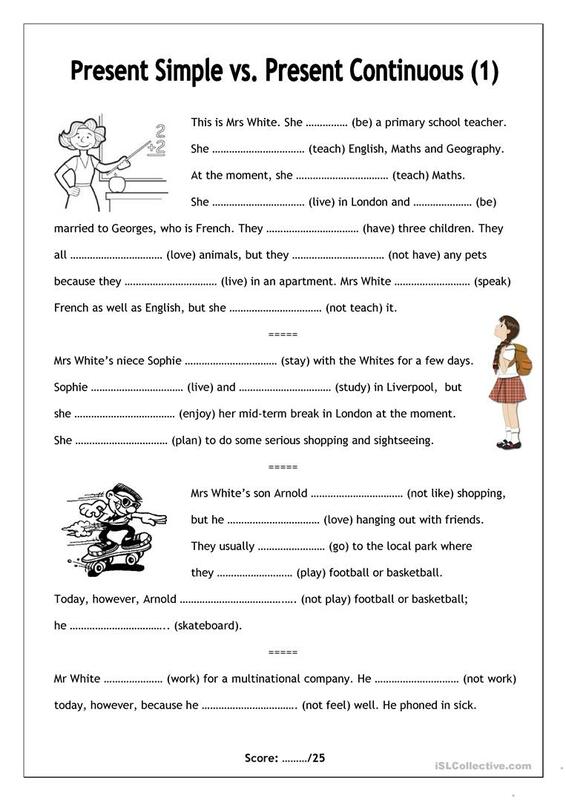 No-frills and low on images and colour so it can be used with all ages and save ink. Answer key included. This downloadable teaching material was created for high school students, elementary school students and adults at Elementary (A1) and Pre-intermediate (A2) level. 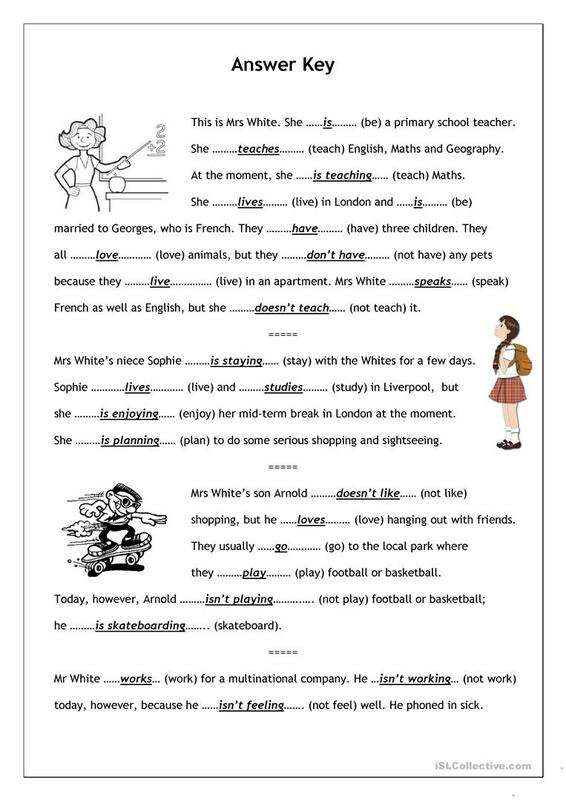 It is great for consolidating Present simple vs continuous (progressive) tense in English, and is excellent for improving your class' Reading and Writing skills. The solutions are provided, too.